Greater Iberia Chamber of Commerce is hosting their annual banquet on Thursday January 17. 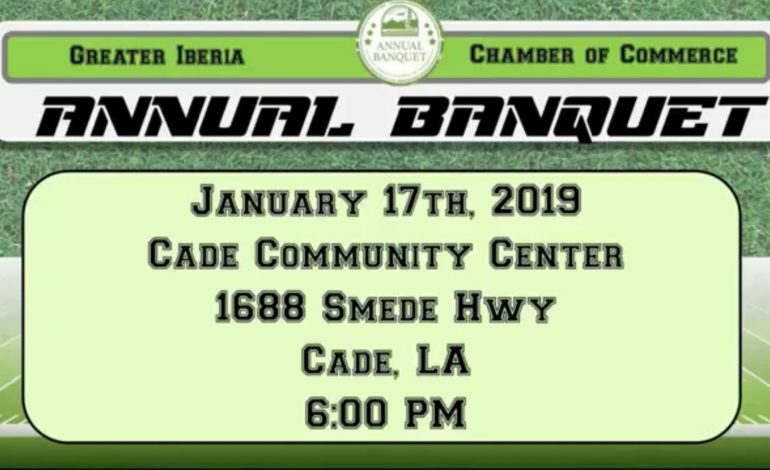 Starting at 6 p.m., Cade Community Center (1688 Smede Highway, Cade, LA) will be filled with chamber members and business leaders celebrating the accomplishments of local businesses. To purchase tickets, click here. Watch below for details on the guest speaker and which businesses will be honored.